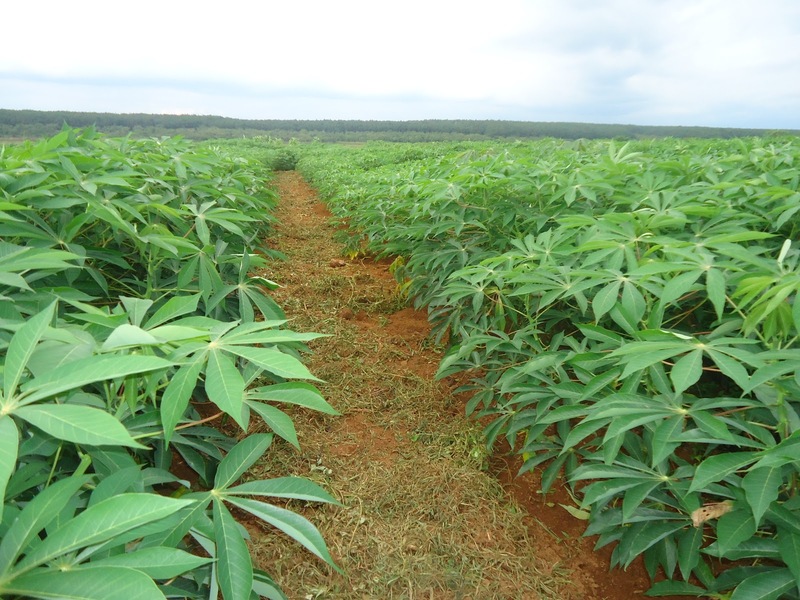 Fresh cassava roots: The edible rate of 30-40% by weight of dry matter of fresh samples, 27- 36% starch, sugar total 0.5 to 2.5% (of which 71% sucrose, glucose13%, fructose 9%, mantose 3%), 0.5 to 2.0% of total protein, fiber 1.0%, fats by 0.5%, 0.5-1.5% minerals, vitamin A is about 17 mg / 100g, vitamin C 50 mg / 100 g, energy 607 KJ / 100g, nutrient limiting factor is Cyanogenes, deduction rates 22-25% starch, flour particle size 5- 50 micron, 15-29 amylose %, maximum adhesion 700- 1100 BU, gelatinized temperature 49-73 OC (Christopher Wheatley, Gregory J.Scott, Rupert Best and Siert Wiersema 1995). As quoted by Hoang Kim, Pham Van Bien 1996, led the data analysis data of Vietnam (Le Ruler 1966 Agriculture University, 1987, Nguyen Duc Tran 1963, the Institute of Animal Husbandry, 1983), China ( Bangguo Zheng et al, 1988), Philippines (Jose A. Eusebio 1978, Truong Van Den 1989), India (Hirshi and Nair 1978) and CIAT (GG Gomez et al, 1985) showed similar results. Root is rich in carbohydrate, energy, minerals, vitamin C, small tapioca beads smooth, high adhesion but poor, and especially poor fat protein, amino acid content of the disproportionate, excessive, but lacks the amino acid arginine contained sulfur. Depending on the varieties, planting, some months after planting and harvesting techniques that analyze the total dry matter and protein, fat, minerals, fiber, sugar, flour change.